Holiday crash-courses are the perfect way for children to enjoy their time off and release their energy! They are ideal for introducing a non-swimmer (aged 3+), to the water or for swimmers to work on specific aspects of a stroke. 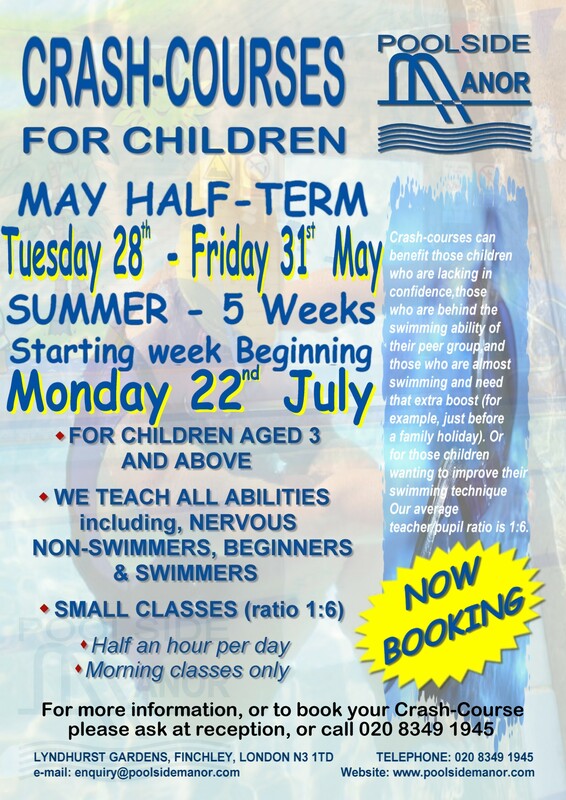 Crash courses take place during every half term and end of term holiday. A crash course consists of normally five ** half hour lessons at the same time each morning from Monday to Friday. ** Times and days may vary depending on the calendar week (bank holidays etc) or other unforseen circumstances so please check with us to confirm the times and days courses are running on. Scheduled crash course dates, times and duration can be found in the term dates tab above. Please feel free to contact us if you have any questions. Swimmers are placed into the correct class level and assessed again at the end of the week by their teacher. This determines the present ability level of the swimmer, reflecting their progress and informing the decision as to which class level they are suitable for should you decide to book them in for term-time lessons or another crash course. A certificate is awarded at the end of the week to congratulate each swimmer on their progress. New clients are given equal priority to existing ones so please book early to avoid disappointment! A crash course consists of one half hour lesson at the same time each morning for the course duration. Classes run from 10:00am to 12:00pm - please enquire as to the exact times for different class standards. Price is £56 per child. 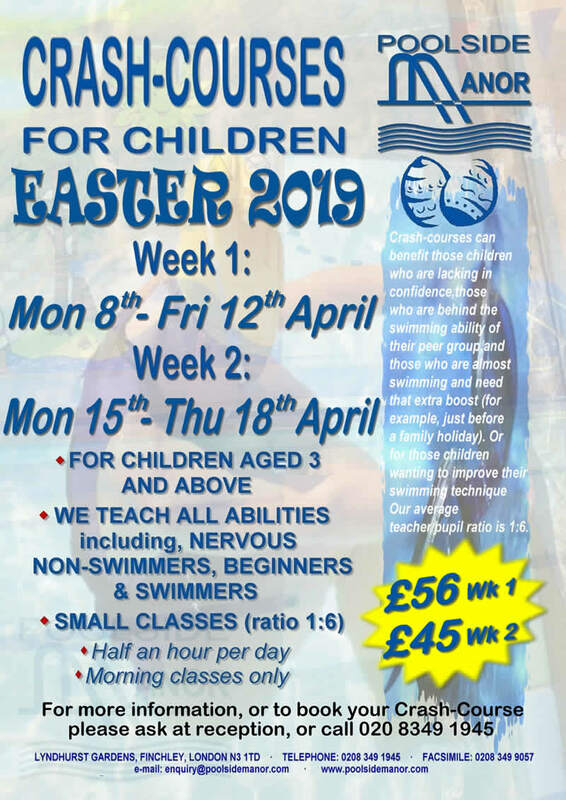 Week 2: Starts Monday 15th April, Ends Thursday 18th April. Price is £45 per child.